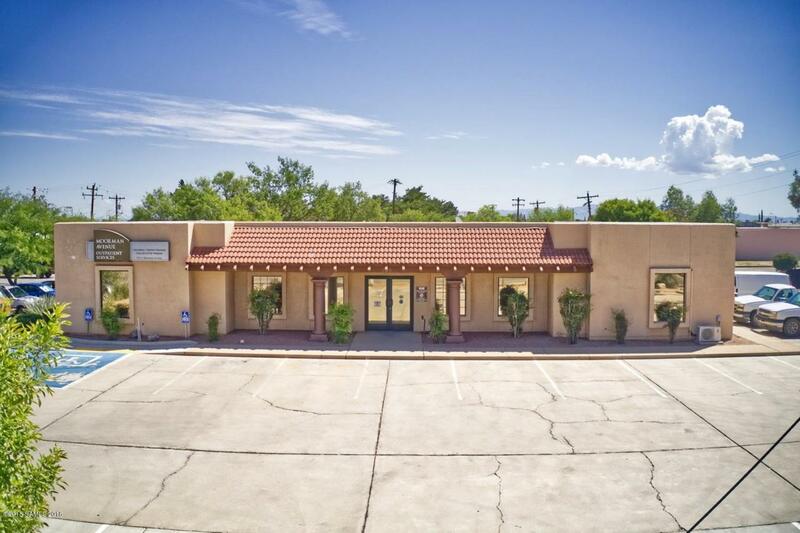 Premier commercial building offering various work settings from office to medical. Located just behind the post office offering excellent public access. 49 space parking lot. Outdoor lunch/break area with mature trees for that refreshing outdoor feeling. Multiple restrooms conveniently located for flexible office structure. Spacious conference room with full communication and data links. All flooring has been professionally maintained and is in excellent condition. Beautiful interior reflects the incredible condition of this building. Listing provided courtesy of Virginia Cleven of Era Four Feathers Realty. © 2019 Southeast Arizona Multiple Listing Service, Inc. All Rights Reserved.